The government issued a fresh draft notification last week, demarcating eco-sensitive zones (ESZ) in the Western Ghats. The draft notification, dated September 4, has not made any changes to the list of areas proposed as ESZs in an earlier draft issued on March 10, 2014. The previous draft notification had set a 545-day deadline for identification of ESZs. Issued under provisions of the Environment (Protection) Act, 1986, it had directed governments of six states—Gujarat, Maharashtra, Goa, Karnataka, Kerala and Tamil Nadu—to physically verify eco-sensitive zones in their areas of the Western Ghats and to submit recommendations. The fresh draft, however, is only an interim measure as Maharashtra and Tamil Nadu have failed to submit their recommendations before the deadline. In order to protect the Western Ghats from unplanned industrialisation, the government had appointed two expert panels to make recommendations on ways to protect the rich biodiversity in the 1500-km stretch from exploitation and degradation. 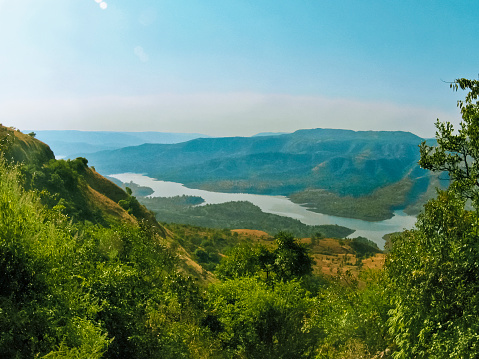 The Western Ghats Ecology Expert Panel, headed by environmentalist Madhav Gadgil, had stated that no fresh industrial activity should be allowed anywhere along the stretch. The second expert committee, headed by K Kasturirangan, had suggested that 37 per cent of the region be demarcated as ecologically sensitive. Following these reports, 4,156 villages across the six states were identified as ecologically sensitive and inappropriate for industrialisation and development. The move sparked fear among local populations that saw the demarcation as a threat to their livelihoods, agriculture and development activity. The government sought to assuage their fears in March last year when it issued a notification directing all six state governments to verify the proposed demarcated areas and submit specific recommendations and objections. Since only four states have completed the process so far, an extension of 60 days has been given to Maharashtra and Tamil Nadu to submit their reports after which a final notification shall be issued. The fresh notification has not made any changes to the proposed eco-sensitive areas as per the 2014 notice which recommends 20,668 sq km in Karnataka, 17,340 sq km in Maharashtra, 6,914 sq km in Tamil Nadu, 1,461 sq km in Goa and 449 sq km in Gujarat to be delineated as ESZs. There is, however, no indication about Kerala which had protested the proposal to declare 9,993 sq km as eco-sensitive area. Environment minister Prakash Javadekar underlined that the demarcation would not adversely affect lives and livelihoods of the approximately 50 million people residing in the Western Ghats. ''The MoEF&CC (environment ministry) clarifies that the lives of about 50 million people living in the Western Ghats region will not be affected. Their agriculture and plantation will not be adversely impacted. Their normal businesses and their other activities will also not get adversely affected,'' he said last week.